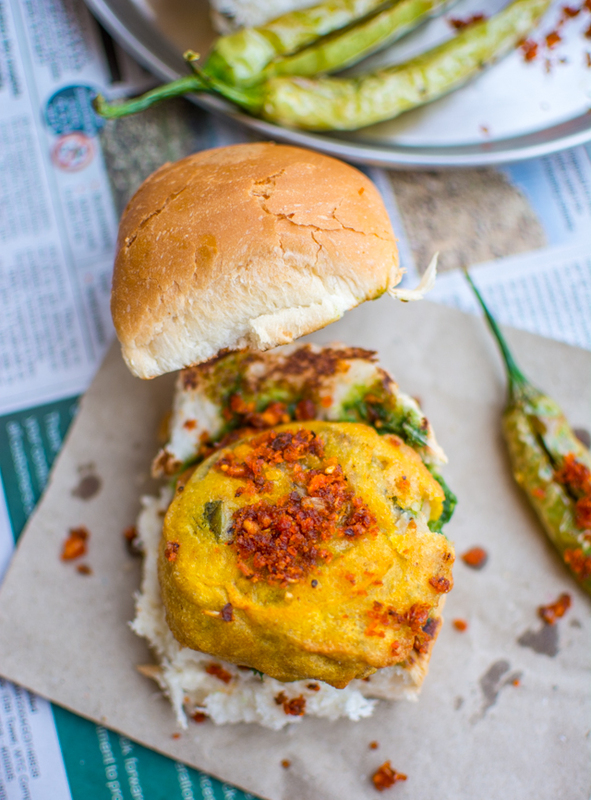 Mumbai is known for many things but first among equals is its diverse street food. It's probably what defines the city - fast and straight forward. 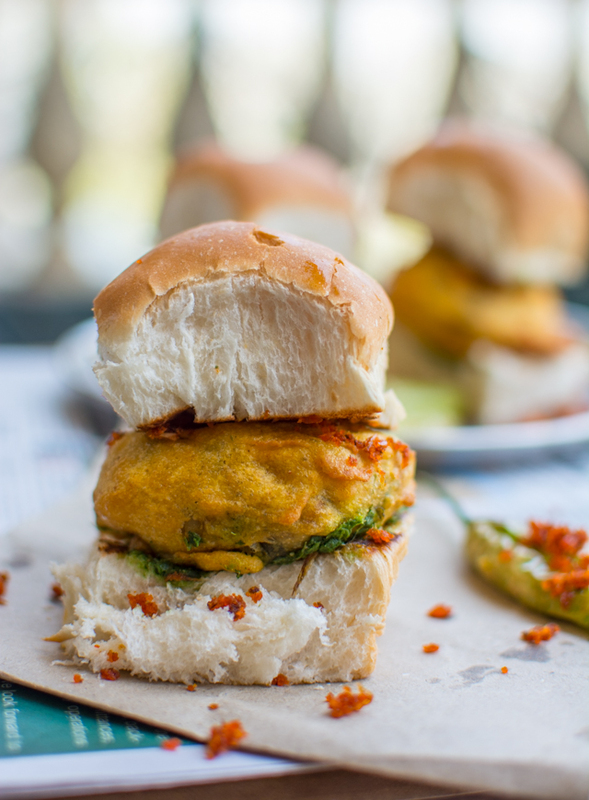 And first among the street food variety is the Vada Pav. Always been a big fan of this simple yet delicious street food, so difficult to find a perfect one in Delhi. 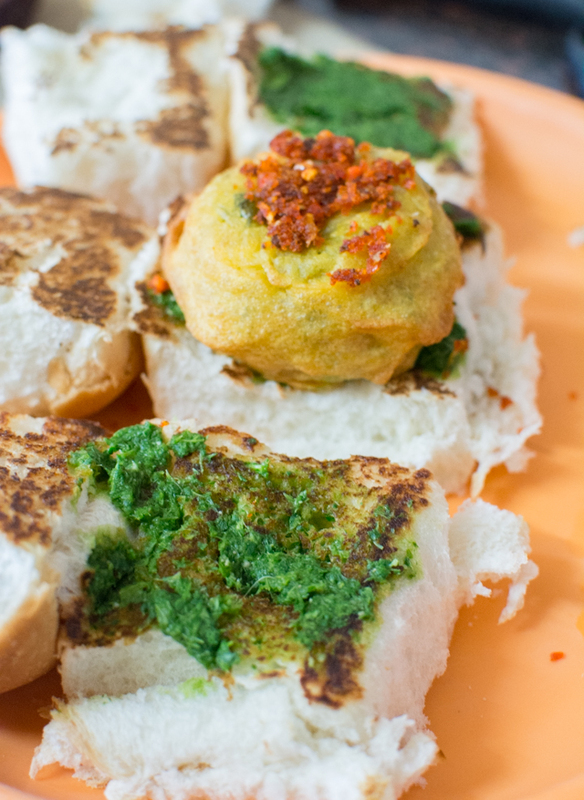 So, we had to recreate one at home to have the freshly made potato vada/bonda with a lipsmacking red chutney in simple bouncy buns. Simple delight! Grind all ingredients in a grinder and adjust salt as per spice. 1. In a pan, roast garlic in little oil. 2. Then dry roast coconut till slightly golden. 3. In a grinder, grind coconut, chilli, peanuts, sesame seeds, garlic and tamarind paste. 4. Adjust salt and red chutney is ready. 1. Stir together all the ingredients for batter. Add water to achieve desired consistency. we did not use Baking soda. 2. Mash potatoes in a bowl. 3. 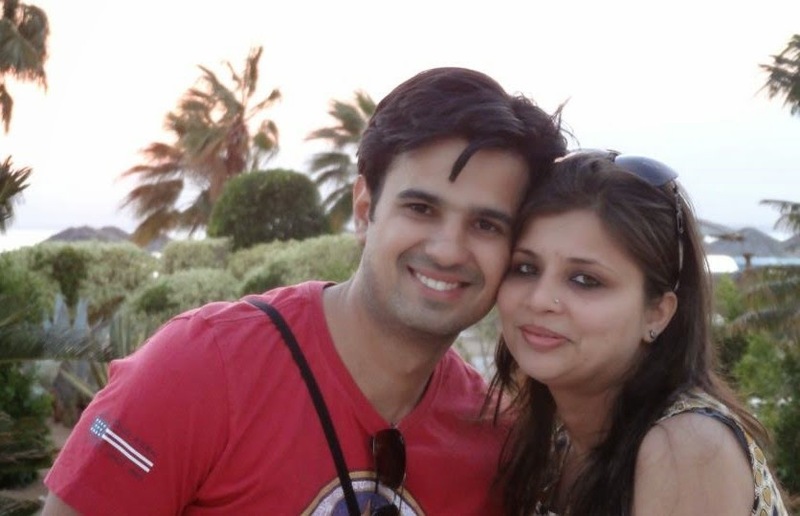 In a Tadka Pan, heat oil. Temper mustard seeds and cumin, then add minced garlic and ginger to it. Cook till rawness of garlic is gone. 5. Mix ingredients from pan to potato. Add salt and make uniform mix. 6. 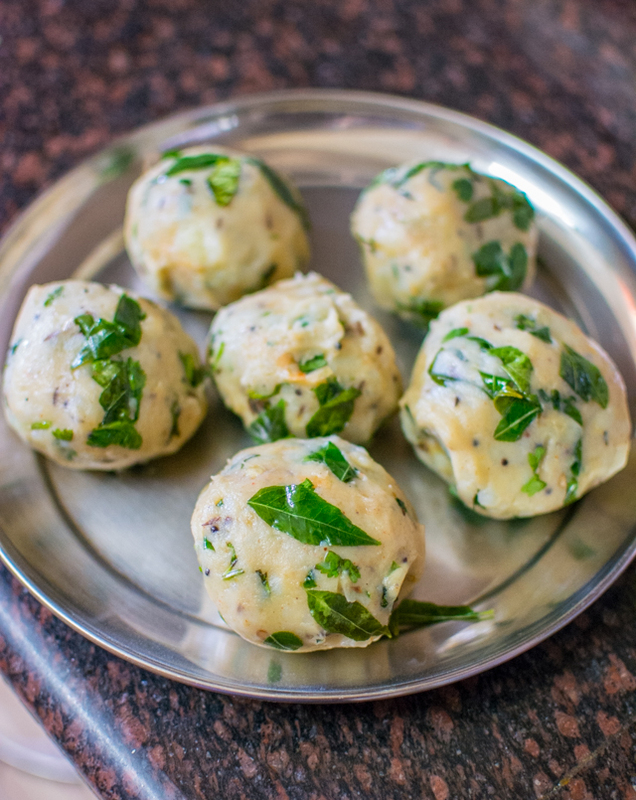 Divide them into 6 equal portions and make balls. 7. Heat the oil in wok for deep frying. 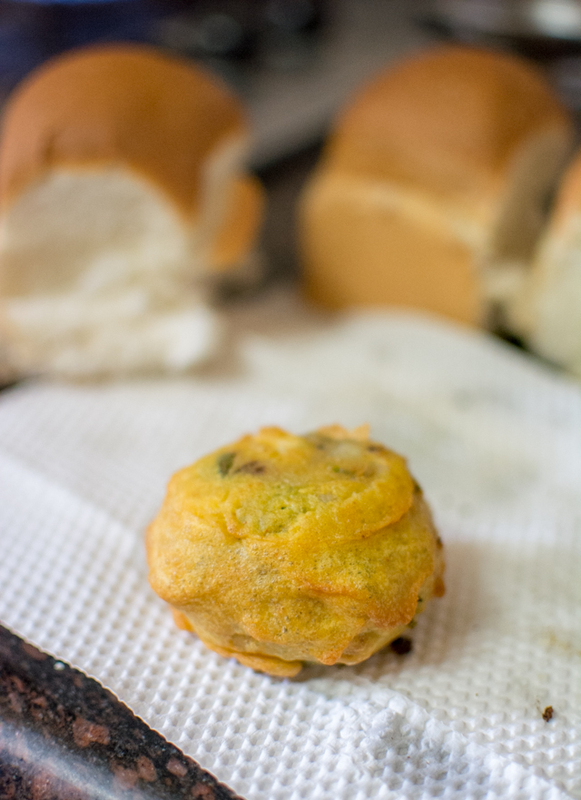 Coat potato mix balls in besan batter and deep fry. Heat Pav on tawa (dont make them crisp). 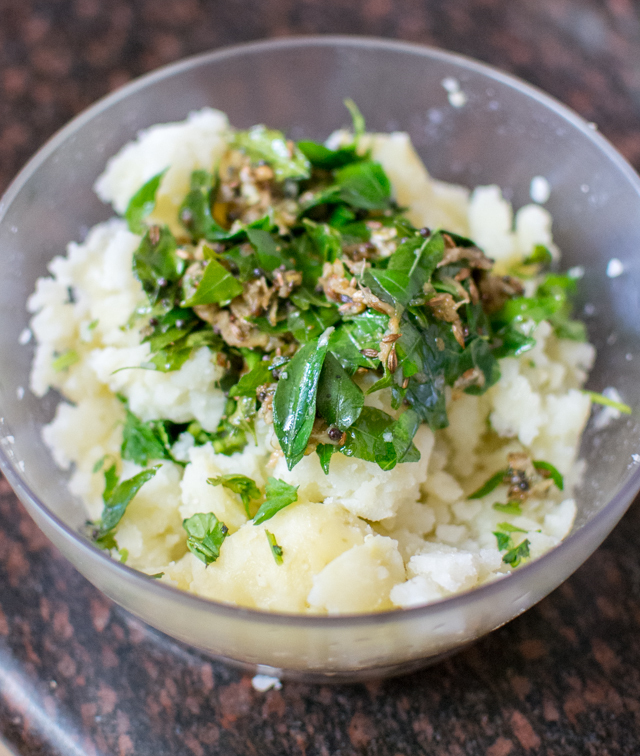 Put spoon full of green chutney on one side. 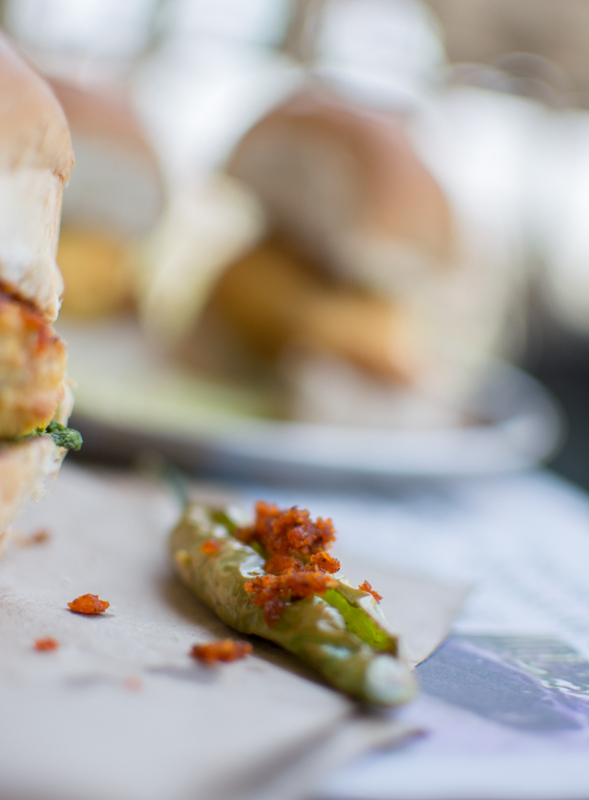 Put fried vada in between and top it with red chutney powder. 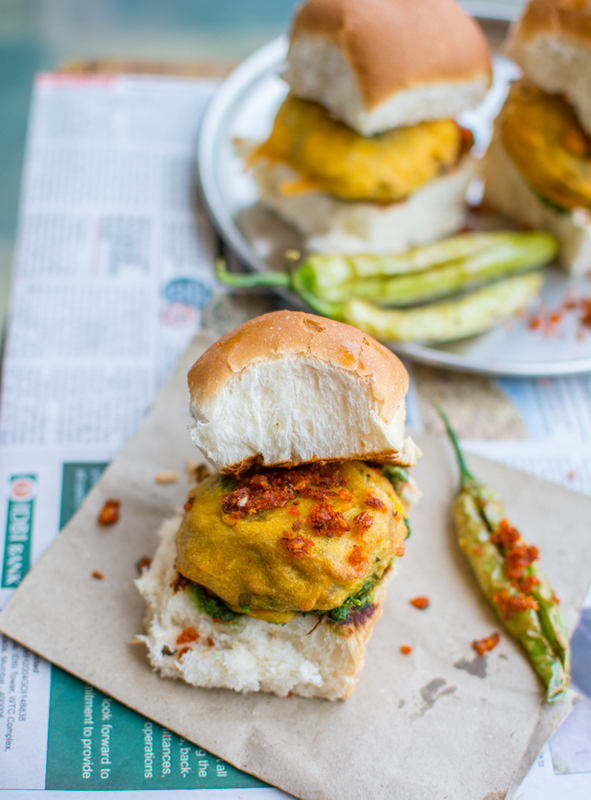 Serve it with fried green chilli and more red chutney powder on side.